Olav Johansen is a fixer. An assassin. Working on a commission-basis, he does the jobs that need to be done to keep Daniel Hoffman- a prominent Norwegian ‘businessman’- at the top of his game. Olav doesn’t mind his job- in fact, he’s quite good at it. Having tried other avenues of crime- like robbery and pimping- he has discovered that he isn’t very accomplished at succeeding in them. But fixing people is an easy, somewhat profitable business for him. Of course it means that he can never settle down, and that he has to live as anonymous a life as possible, but these are concessions he is willing to make. That is, until he meets the woman of his dreams. She is beautiful and sassy, and everything that he wants in a woman. She is also Daniel Hoffman’s wife. And Olav has just been hired to kill her. Deeply conflicted, Olav tries to find a more suitable alternative to the problem at hand, but only manages to make the situation worse. Soon, he finds himself on the run, having to make dangerous choices to maintain a dubious level of safety. Will Olav be able to fix this problem? Or will the fixer find himself getting fixed… Permanently? 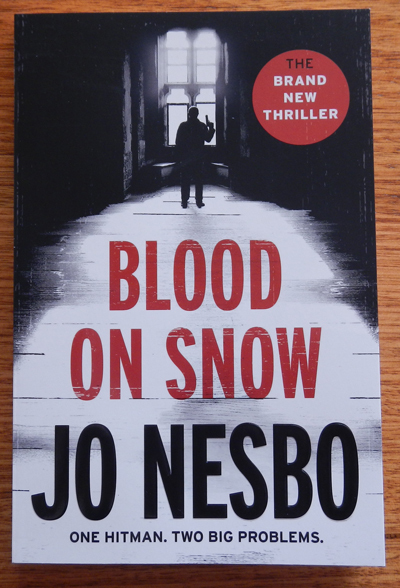 This new offering from prolific Norwegian crime writer Jo Nesbo is very different from his popular ‘Harry Hole’ detective series. Despite his outwardly simple demeanour, Olav’s character is much more complex than you’d think, perhaps making his role as a fixer all the more dangerous. He is an enigma- he claims to be simple, to ‘not know much about anything’, yet he is certainly smarter than some of the other criminals in the novel. Not only does he have street smarts, which he has learnt on the job, but he also follows a set personal code that governs how he avoids police attention and other dangers, allowing him to survive in his line of work. He is able to formulate complex plans of execution, and seems to innately understand how a situation will, or should, play out. He claims not to know much, yet he can reel out random facts about wildlife that he has learnt from watching a documentary series, and knows numerous famous quotes (although he doesn’t always know the source). Despite claiming to be a dyslexic, he appears to read a lot. In a further show of paradox, he admits that he is currently reading Les Miserables- a hefty (in both size and depth) tome for even the most proficient reader. He loves stories that he can change to suit himself if he thinks that he might have a better ending- a fact that certainly comes to light towards the end of the novel. All of the above instances make Olav a very unreliable narrator, yet you can’t help but read on, wanting to know just how the story will play out. This book is short- less than 200 pages- but the writing is compelling, and the twisting plot is just what you’d expect from such a renowned Scandinavian crime author. If you’re after a quick thriller, that doesn’t skimp on action and drama, then this may be just the book you’re searching for.